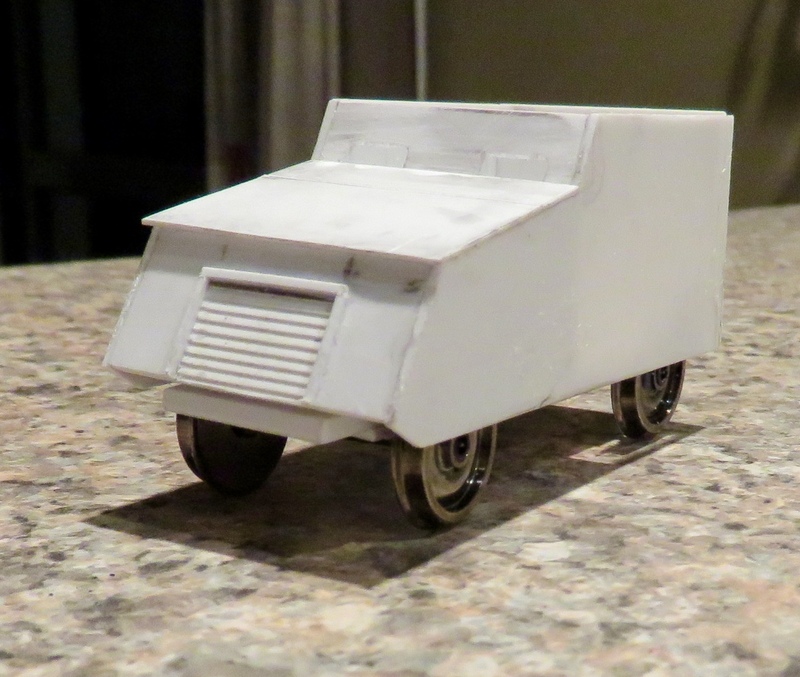 Recently I have been dabbling in 1/48 plastic military vehicles for new Pacific Island aircraft layout (aka a big display diorama) with accompanying former Japanese Navy 2ft gauge tramway. So I got me interested in 1/48 as a non aircraft modelling scale and I have returned to a former subject I used to model in 1/35th scale, the Malay Emergency. 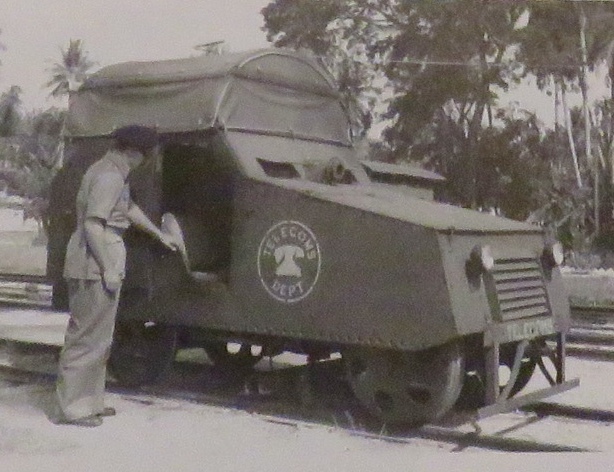 So I'm having a go at this armoured rail jeep - just a armoured body over the top of a standard Malaya Railways 1 m gauge rail jeep. 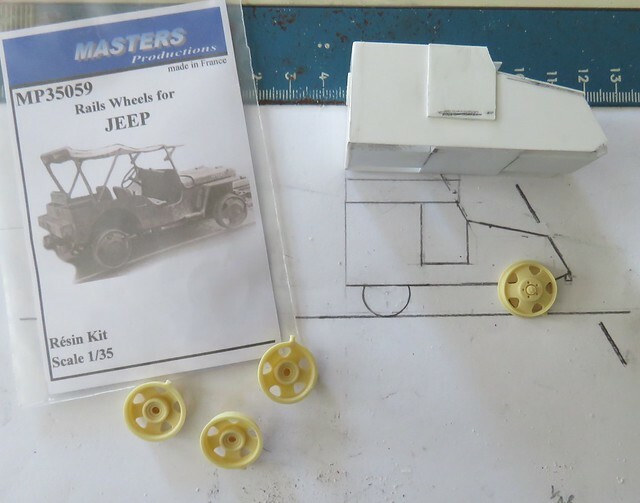 Initially I considered trying to use small diameter 1/35th scale Jeep rail wheels to represent larger diameter in 1/48 but way out. 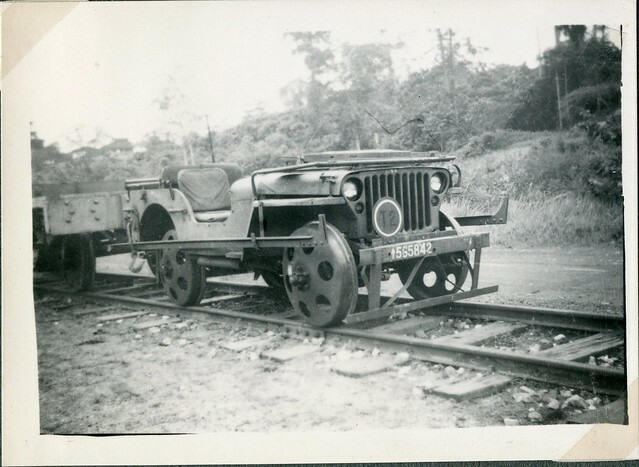 Then these wheels were just to see what standard rail wheels looked like. I'm currently working on a set using metal rail wheel rims of correct diameter with new plastic inserts so the correct wheel hub shape and holes are replicated. Oh currently this is just a static model but has been constructed so motor/gearbox could be added as there a lots of interesting rail contraptions that were used during the Emergency. Gnice. That jeep has an endearing expression.